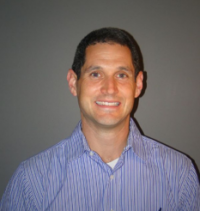 Our Pediatricians are Honored Members of the Community! California health care providers will soon begin to learn how many of the 13.2 million California children and adults in the state’s MediCal program have been exposed to adverse childhood experiences (ACEs). But the state’s proposed decision to reimburse only one of three recommended options for screening children has drawn mixed reactions from pediatricians. 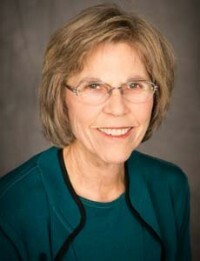 “If we have mandated legislation that only looks at one screening tool, it really limits the opportunity to improve that screening tool over time and it also doesn’t take into consideration that there are a number of tools that are applicable and work really well right now,” said Dr. Kate Williamson, a pediatrician in private practice in Ladera, Calif.
As a surging number of California parents forgo required vaccines for their children because of health concerns, the lawmaker behind the state’s mandatory vaccination law wants to remove the power to grant those exemptions from individual doctors. California legislators introduced a bill Tuesday that would tighten the state’s childhood immunization law, already one of the strictest in the nation. Children in California must be fully vaccinated to attend public or private schools, unless a doctor says they have a medical reason not to have all their shots. 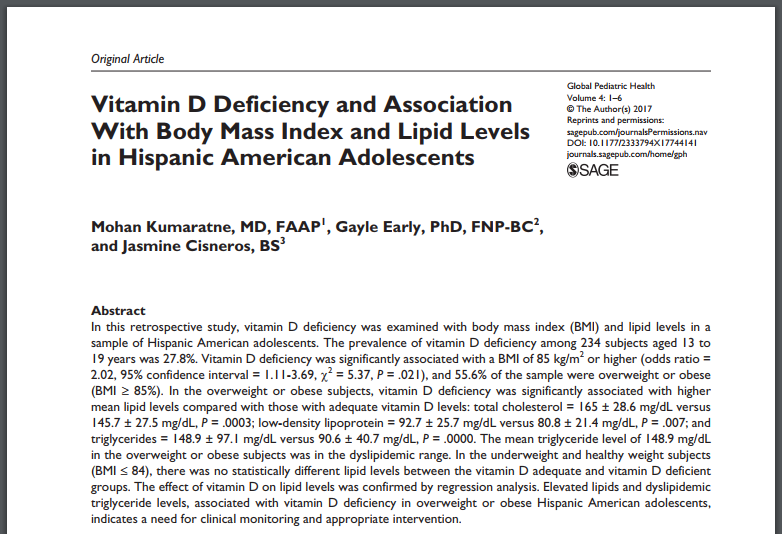 “Vitamin D Deficiency and Association with BMI and Lipid Levels in Hispanic American Adolescents” has been published in the “Global Pediatric Health” issue. 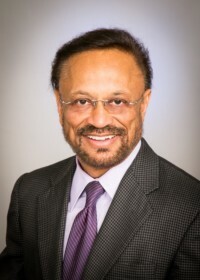 This award recognized Sudeep Kukreja, MD for his contributions toward the health of various ethnic communities, showing great success in eliminating health disparities, addressing access to care, and improving cultural competency and patient advocacy. The purpose of the award is to honor an outstanding physician; inspire other physicians; and to promote leadership, caring and compassion in medicine.